What a challenge and a blessing, walking with Cameron from preschool graduation (above) to Class of 2015 graduate. For those of us who have children with learning disabilities, educational milestones like a high school or college graduation are especially significant. It is a very proud moment indeed, one that celebrates the journey as much as the goal. My youngest son was diagnosed with ADHD at the onset of high school, and was greatly challenged by a rigorous curriculum at a new school in our district. He persevered and recently received his diploma as part of the first graduating class at his high school. What I’ve been struck with in hindsight is how eager I was to compare my son’s journey to his older brother. These two intelligent boys forged their own educational paths through different schools. The older one started school at a very early age and rarely needed any homework help or guidance. He was considered the ‘perfect’ child and made parenting easy. His younger brother put in a tremendous amount of effort, but was hindered by his learning disability from keeping pace with his course load. Before he was diagnosed, we didn’t understand how someone so bright could have so many academic problems. He challenged my husband and me. At times it was hard to not internalize his academic struggles as a reflection of our parenting. At other times, I began to think I had failed him miserably. Like other parents with more than one child, I learned the hard way what it means to be proud of, to love and respect my kids for each of their unique gifts. In the process, I also learned a lot from my son. His struggles with ADHD helped me to come to terms with my own adult-diagnosed ADHD. We pursued treatment together and bonded in loving ways. As graduation neared, I was reminded of a friend who told me she prayed a blessing over her son every night when he was young. She would recite Deuteronomy 6:24-26. I was touched when I heard that she recently sent the Deuteronomy blessing to her now adult son in a card as he celebrated the first birthday of his daughter. What a beautiful spiritual legacy she is leaving her grandchild. May Cameron grow into maturity as a godly man, clinging to his faith when the challenges come his way. Lord, bless his hands and may the fruit of his labor serve to glorify you. When the time is right, bring a godly woman into his life that appreciates him for his uniqueness and heart of compassion. Lord, guide his footsteps and give him godly wisdom and discernment for the journey. In Jesus’ name I pray. Amen. I invite you to likewise write a blessing to say or silently pray over your children. Even if your kids are now adults, it’s not too late. I know the faithful prayers of my mother made a difference in my life. Pray about what the Lord wants you to say. Our ‘imperfect’ children teach us that we are imperfect parents and imperfect people. However, if we are open to the Lord’s lessons throughout the challenges, we will also learn that we are perfectly blessed to steward them into adulthood. I am a result of both nature and nurture. But I have choices, and God is working in me. We seek to know; this is a God-given desire. One thing we want to know is about ourselves. Why am I so much like my mother? Why is my child so different from me? Would I have been different with a different upbringing? Should I blame my parents or grandparents for who I am and what I am? Why is it so hard to change, even when I see things about myself that need to change? We cannot change who we are in this regard. I know a woman who jokingly said, “I am a sanguine want-to-be.” She has a beautiful, analytic mind; she has the temperament of a melancholic. She might not be the life of the party, but sit next to her and she’ll have some very interesting things to say. She was joking; I don’t think she really wanted to change herself. In fact, her humorous remark came out of her analytical personality! Would any of us really want to change who we are? If we think about it, everything about God’s design for us fits; it is just right for the persons God made us to be. However, if the influences in the childhood home or culture are unhealthy, then the strength of the personality can become a weakness. The extrovert, who had the potential of being a servant-leader in the home or at the office, can become the boss. The introvert can shut himself off from all people. And the peacemaker can become a doormat. When receiving new life through faith in Jesus Christ, we are made ready to be transformed by the Lord’s working in our lives and hearts. God not only designed our personalities, he stands ready to shape them! “Our old self was crucified with Christ” (Romans 6:6). The “old self” includes not only our own sin, but also any unhealthy influences on God’s intended purposes for us. We can experience increasing freedom from the power of harmful, negative influences that have hindered us from being what God created us to be: more than conquerors (see Romans 8:37). Just knowing the dynamics of our past, heredity, or personality will not necessarily influence our lives for good or give us power to overcome the negative influences. There is a saying: “A little knowledge is a dangerous thing.” This little knowledge—insights about our past and personality—can be a dangerous thing, if we stop there. By the grace of God, we can flourish as God’s vibrant individuals by pressing on with the personal knowledge of the Lord. There will come a day when we will see that we are exceedingly blessed to be who we are. “You’re just like your mother!” Those words and that fear have been engrained in my mind and my psyche throughout my adulthood. They were like a blemish on my face that screamed for attention every time I got a glance of myself in the mirror. Not literally, but that’s how often the message surfaced. I didn’t want to be anything like my mother! That comparison brought too much embarrassment, too much shame. After all, she was mentally ill.
My fears started as a teen. Whether you’re an adult (who once was a teen) or the parent of a teen, you know the feelings of embarrassment that can arise. As teens start to separate from their parents, test their independence, and explore who they are, they veer away from parental input and advice. They don’t want to be seen with their parents. And they certainly don’t want public displays of affection! A recent episode of “The Goldbergs” addressed this very uncomfortable situation in a comical manner. Beverly, the mother in this sitcom family, which takes place in the 1980s, is always intervening—or interfering—in her teenage children’s lives. It is humorous and most often embarrassing— as you can see in this short, video scene: Beverly Catches Erica Hanging with the Cool Mom. Fast forward to the present day and age of social media where the tables have turned. I’m now the parent of 17 and 21 year-old sons. Is it cool to be friends with your children on Facebook? And if you are friends, is it OK to ‘like’ or comment on their posts? In my family, there is an unwritten rule: no tagging and no comments. Uploading photos are a rare treat for me. In other families, I’ve seen how they bring the good-hearted ribbing and familial connection that they share at home into the online community. I do respect the boundaries established in my family on social media interaction, although it does take some fun out of the experience. 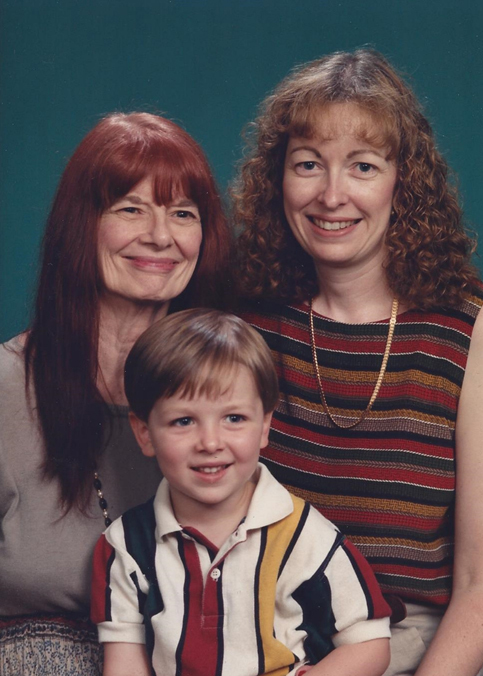 However, my embarrassment with my mother was more than the normal parent/child phase of growth and maturing. My embarrassment and shame was rooted in private and public displays of her mental illness. I witnessed some pretty erratic and unhealthy behaviors from my mother during my teenage years. At times they can still haunt me. 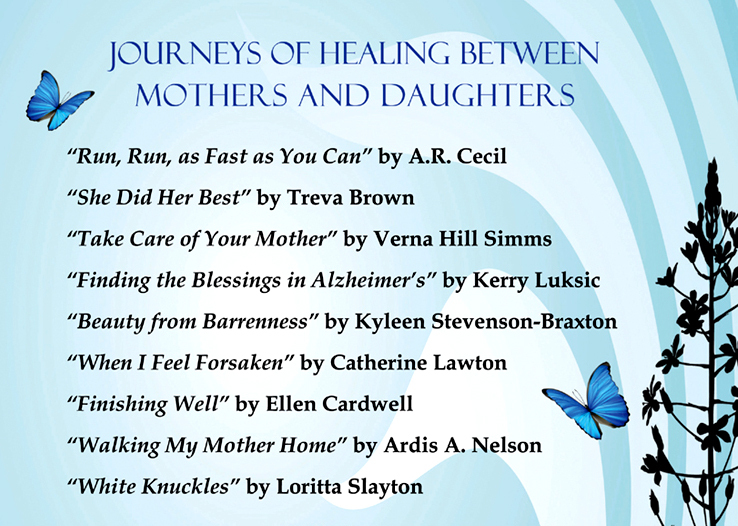 As I wrote in “Walking my Mother Home,” my story in Journeys to Mother Love, I experienced huge identity revelations and healing with the passing of my mother in 2011. 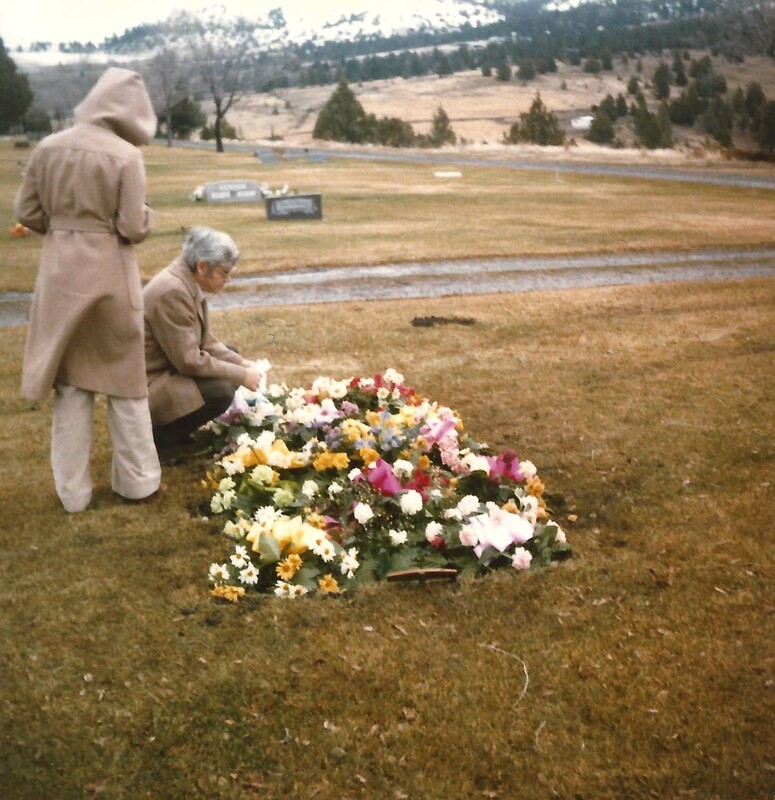 What I realized then and continue to see in new ways since her passing, is that I am just like my mother. I’ve had to separate the good traits from the bad ones. And I’ve learned to embrace those parts of me where she made a positive influence. Have you been embarrassed by your parents? Have you ever embarrassed your kids? Where are you on the spectrum of becoming just like your mother? We’d love to hear a little of your story in the comments below. A Gluten-free, Sugar-free, Conflict-free Christmas Dinner? 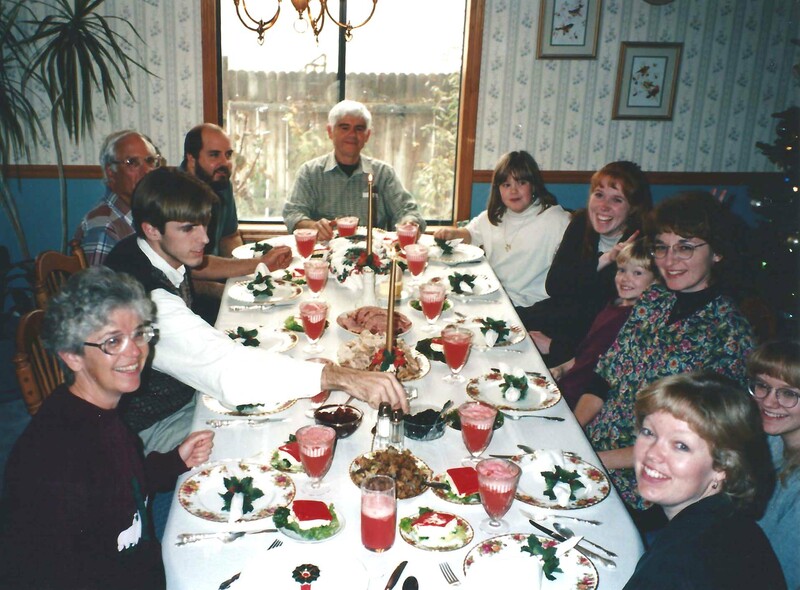 One of the family Christmas Dinners in my past, when I was a mom but not yet a grandma. I guess all families hope for a conflict-free Christmas Dinner. We hope the children will leave their new toys and come to the table willingly. We hope certain extended family member won’t bring up certain memories (as they always do). We hope Grandpa won’t say a blessing before the meal that goes on and on like a sermon (and like this sentence) while the kids peek at each other and stomachs rumble and mouths water and Mother worries that the food will get cold. Like Tiny Tim’s mother, the cook hopes her “Christmas pudding” or whatever special dish she attempted for the holiday will turn out and everyone will like it. As a mother, and now a grandmother, I have often been the Christmas Dinner cook. I know how Mrs. Cratchit felt. And I know the joy of a holiday meal together around a festive table with candles burning, spicy and savory scents wafting from colorfully prepared dishes, the best silver clinking on pretty china, and the children, who are eager for dessert, allowed to drink out of fancy crystal goblets. But this is the first year that I, to avoid conflict with special diets, had to adjust my usual holiday recipes to accommodate my husband, who must eat gluten-free now, and my granddaughter, who is on a doctor-ordered diet of no sugar or lactose. We had ham dinner. I couldn’t use the packaged glaze that came with the ham because it contained both gluten and sugar. So I mixed my own glaze of honey and lemon. It helps that we have a lot of honey from our backyard beehive. I used honey in several of the dishes, including the gelatin salad and the dessert, both of which were much less rich than what I’ve usually served. (I have always made pies before — pecan, apple, and pumpkin with whipped cream). In a saucepan pour 4 cups Cranberry-Cherry Juice (unsweetened, 100% fruit juice). Sprinkle over that 4 packages of Plain Gelatin. Stir over low heat until dissolved. Add 1/3 cup Honey and stir till dissolved. Stir in 1 cup Sparkling Cider. Chill till partially set. Then add: chopped, unpeeled organic Apples, sliced Bananas, and some coarsely-chopped Pecans. Mix and pour into a gelatin mold. Chill. Just before serving, unmold the salad onto a pretty, round Christmas platter. In a mixing bowl, slightly beat 4 Eggs. Stir in 1/2 cup Honey, 2-1/2 cups Milk (I used coconut milk), 1/2 teaspoon Salt, and 1 teaspoon Vanilla. Mix well. Pour into six custard cups. Place cups in a shallow pan and pour 1/2-inch of hot water around them. Bake in 350-degree oven for about 35-40 minutes, or until a knife inserted 1/2-inch from edge comes out “clean.” Sprinkle with Nutmeg if desired. Cool, then chill in refrigerator and serve cold. You may want to serve the custards along with a plate of Christmas cookies. Our Christmas dinner (which we celebrated a few days early this year with our daughter’s family) was conflict-free also, in the sense that no one had to worry about whether or not they could eat the food. Because we love our families, we keep making adjustments. He’s gone…my firstborn child graduated from college last month. Then we packed up his belongings and settled him into an apartment 500 miles from home. The last several weeks have been a frenzy of activity, including his 21st birthday. I had glimpses of the emotion that I knew would come. But none was as surprising as the wave that hit me when my son returned a letter to me I had written him when he left for college almost four years ago. We were cleaning out his room, sorting what to take with him, what to keep at home, and what to get rid of. He isn’t the sentimental type and asked me if I wanted to keep the letter. Naturally I agreed. While his focus and attention remained on sorting his belongings, I snuck away to read the letter…and the tears came. I was surprised by the things I told him. I recalled the timing of the letter and what was going on in our lives. The events that led to my writing “Walking My Mother Home” in Journeys to Mother Love were just starting to develop: Pedro had returned to Spain after his first summer with our family; my communication had started with his mother Rosa; we had found out that Carmen, Rosa’s mother, only had a few months to live; and my mother was on hospice care back in Illinois. Yet there in the midst of the pain of my aching mother wound I took the time to write a beautiful letter to my son. It seems my heart was already changing. The Lord was directing me to make a connection to my son in one of the few ways I felt comfortable—by writing him a letter. I wish I’d done that again now. Maybe I still will. Or maybe this is the start of a season of occasional Skype calls and Facebook chats. In any case, I’m sharing excerpts of that original letter here. Much of it still applies to my son’s post-college launch as it did to his move into the dorm. My hope is that it inspires you or gives you ideas on how to also write or connect with your son or daughter who has left the nest. …The main thing I want to convey to you is that we trust you and that we are here for you. We want you to explore your independence and to make your own decisions realizing that there will be some stumbling. We hope that you will come to us for advice, to vent your frustrations and to rejoice in your successes. We want to be here for you in whatever way we can as you transition to life on your own. We love you regardless of the circumstances. More than that, God loves you. I hope and pray that you will use His Word and His Spirit inside you to guide you in your difficult decisions and your daily walk. Reading that again even now, I have the overwhelming sense that these words were not just meant for him (or our children), but they were meant for me (and other adults) who didn’t have that kind of encouragement poured into them. I know that today as I embrace this new season of motherhood and close the door to my son’s empty room, I need just a bit of encouragement too. How about you? My two sons. 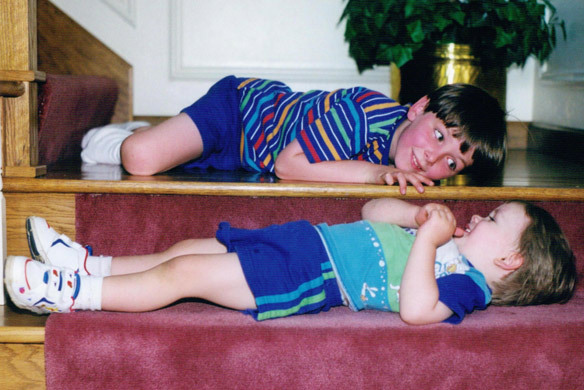 The younger one always looked up to his older brother. I feel an incredible urge to sit and chat—to talk with my close friends and to talk to my mother. But none of that is really possible these days—especially since my mother passed away over three years ago. I am in a rush, rush, rush to the finish line. No, it’s not the race for the prize, the eternal crown, that is referenced in 1 Corinthians 9:24-25. It is the finish line to the day my oldest child moves away from home to another state—only six more wake-ups. Although I wanted to be there, I made the difficult parenting decision to attend my other son’s final school band concert. It was also his 17th birthday—more memories surfaced there as well. My husband attended the graduation ceremony. What I am struck with is how significant these events are in my life and my strong desire to have time to reflect and process them. Since there is no time, I am writing them down here in the hopes that other mothers will resonate with the pull of my heart. Where has the time gone? How do we let go of our children? How do we parent the one left behind who is also aching over the time lost with his brother? He had just reached an age when they could relate to each other more and become friends. I have to process my own loss, and be vulnerable, yet strong, and encourage my youngest son too. This is hard to do—especially when this kind of parenting wasn’t modeled for you by your own parents. If I droned on about how proud I am of my son, or how I wish I’d been there more often for him—the missed baseball games, chess tournaments and math competitions—or how I wished I was a more attentive mother at the early stages of his life, would you tune me out or think I’m just too sentimental? That is the risk I take in sharing with you now—mother to mother. Maybe you have already been down this road. Or maybe it lies ahead for you. But rest assured, if you have children, you will reach a point when it is time to let go and say goodbye. The tears will come and it will feel like a part of your heart has just been ripped out. That quote describes what I am sensing as I write this. The day is not here yet, but sitting here chatting with you about it helps me face and express the feelings. 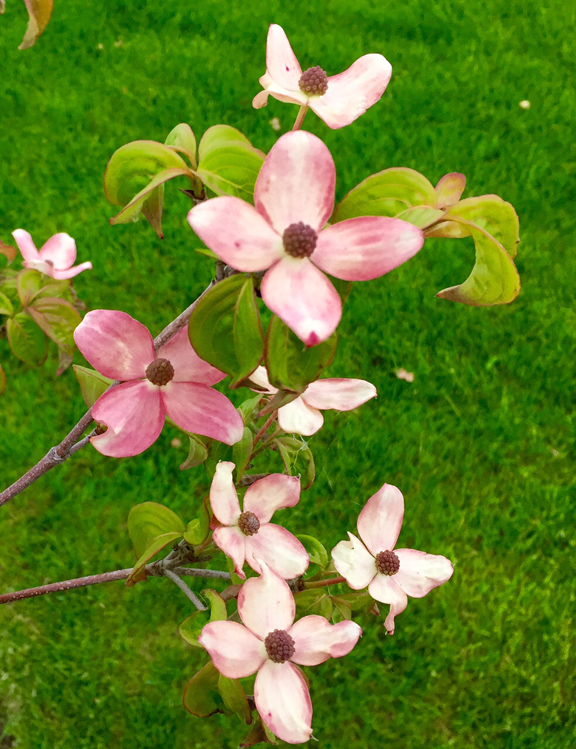 And ultimately that was my goal—to get a chance to slow down and let my emotions surface instead of rushing through the day—to connect with myself and with you, dear Sister. Thank you for letting me talk my way through this. I just got a text message with a request to help my son pack up his apartment at school. I’m off to the races again. I’m grateful that I can do these last things for him. I’m grateful that he asked and that he needs me just a little bit more. Time to set aside my emotions and run. Thanks for stopping by. Thanks for listening. It was nice to talk. I hope you’ll stop by again soon. I’ve found it true for myself and for other people I know — that when we go through a period of grief and loss, the deep feelings that need expression may bubble to the surface in the form of poetry. This helps our hearts heal — and helps us minister to others in need of healing. And soon I found he’d come to stay. Through darkest gloom and in the light. To bring it pain and tear apart. He put my reason in a bind. I thought, Could this just last a year? I bid my heart His love extoll. I hoped in comfort he’d be gone. Sweet friends poured in affection’s balm. Still on me was his clammy palm. And slept with me alone at night. This hold on me so much like hell? With heart and soul and mind in pain? And find at last a sweet relief? What? You can’t stop crying. I hear you. Been there. You say you left your grocery cart in frozen foods. And then you hightailed it to your car. There you hid behind sunglasses and drove home. was interrupted by the need to blow your nose. David of the Old Testament cried on his bed. See, we are in good company. such an avalanche of emotion. You poured your life into the children. All the children left home. The empty nest doesn’t feel as good as you thought it would. You’re too old to be hired. You’re not sure whether this reinventing is right for you. You moved your mother into a nursing home. You tried to manage Mom at home. You moved your mother back into the home. There is an injustice in your life. You try to think of ways to address it. Every idea leads to a dead end. You choose to remain silent. You have just received a bad diagnosis. Many well-intentioned people are offering suggestions. Someone who is dear to you is very ill.
An important person in your life passes away. Listen, if you weren’t crying, I’d be worried about you. like Joseph, David, Job, and Paul in His Book. Think about them; think about the Lord; and think about me. and then sit on the sofa and have a good cry. Now, that will be progress. That will be hope. 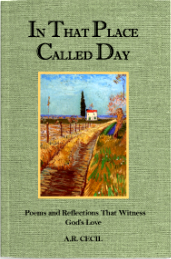 Editor’s note: This poem is taken from the book, IN THAT PLACE CALLED DAY: Poems and Reflections That Witness God’s Love. It’s January 2 and why am I thinking about fish? Well, taking a walk down memory lane and looking through old photos, I find plenty of snapshots of my family fishing. 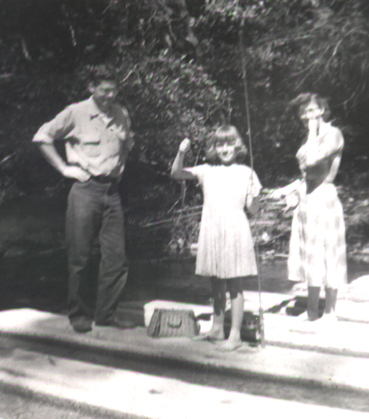 My mother and sister and I followed Daddy down trout streams in the California coastal hills and in the high Sierras many times. Those are some of my happiest memories: jumping from rock to rock along crystal-clear creeks, collecting colorful pebbles, learning to hold my little pink fishing pole, savoring fresh-caught trout fried over a fire. Now that my husband and I live in Colorado, we often see fisher men and women along city ponds, thigh-deep in cascading mountain rivers, and casting flies into high-meadow streams and beaver ponds. This winter, as lakes are freezing over, we’ll soon see ice-fishing huts. Many times in my life I’ve considered the secretive, flashing beauty of fish, heard them slap the water when they jump, watched my dad snag and reel in silvery beauties, gut and clean the keepers, scrape off scales. Not until this year, though, have I looked closely enough to consider the intricacy of a single fish scale and what it has to teach us. As this new year begins, I’m asking myself: How has the Lord been nudging me out of my comfort zone in the past year? What growth rings will I, as a result, carry with me into the coming year and beyond? Will I continue to cooperate with Him in developing my “scales” as both a protective covering and a display of beauty created by His presence and grace in my life? The Lord took Alice’s artistic ability, love of the Bible and interest in people, and her life experiences, and He turned it all into a ministry of encouragement through her creative writing. When Alice and her husband, Joe (a well-known physician at Baptist East Hospital in Louisville, Kentucky), started a family, Alice read to her young children often. And she came to appreciate children’s literature so much that she was soon writing her own children’s books and illustrating them. Gradually, though, the bits of text that ran across the pages of those picture books grew and grew until she was writing full-length stories. Then, 26 years ago, after their fourth child was born with cancer, Alice and Joe came to personal faith in Christ. The Lord brought a new focus to their lives. After her conversion, as Alice grew as a Christian and as a writer, she wanted to incorporate the truths of the Bible into her writing. She hungered to better understand both theology and human nature. Alice lists several Christian writers who greatly influenced her during this time: Martyn Lloyd-Jones, Watchman Nee, Oswald Chambers, and C.S. Lewis. She also sought out mentors: a Christian psychologist and a seminary student earning his doctorate. 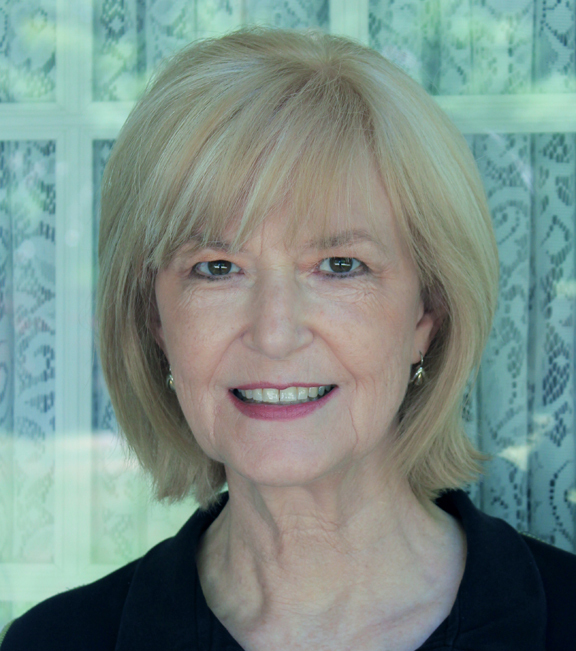 A strong desire grew within her to minister within the body of Christ through her writing. For a while she wrote a newspaper column. 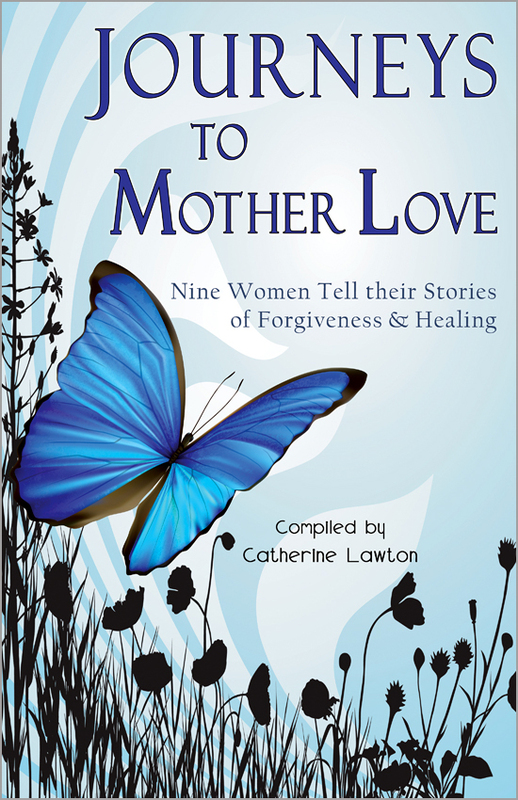 Then in 2012 her short memoir, “Run, Run, as Fast as You Can,” was published in the anthology, Journeys to Mother Love: Nine Women Tell their Stories of Forgiveness & Healing. This story tells Alice’s testimony of the relational challenges in her childhood as well as the sorrows that led a young mother to turn to Christ. 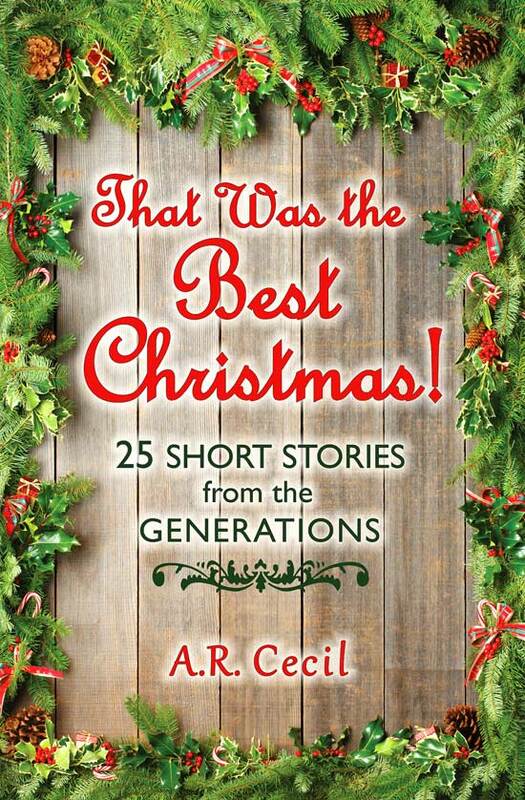 Each of the Christmas stories is set amidst historic events that take place during the years progressing from 1906 to 2013. The main character of each story is a boy or girl, man or woman whose heart opens to give or receive love, bringing personal transformation as they find opportunities to exchange the true gifts of Christmas, such as kindness, encouragement, forgiveness, peace, hope, and belonging. Alice (A.R. Cecil is her pen name) writes with a touch of humor and a warm understanding of both human relationships and the transforming power of God and His Word. That Was the Best Christmas! by A.R. Cecil is available in The Living Word bookstore in Louisville as well as through select stores across the country and online retailers. The paperback can be purchased at Amazon.com and BN.com. You can also read it in Kindle version. To read Alice’s (A.R. Cecil’s) writing is to feel her heart and to be refreshed in faith and the joy of the journey. p.s. I based much of this post on Alice’s answers to interview questions I sent her. 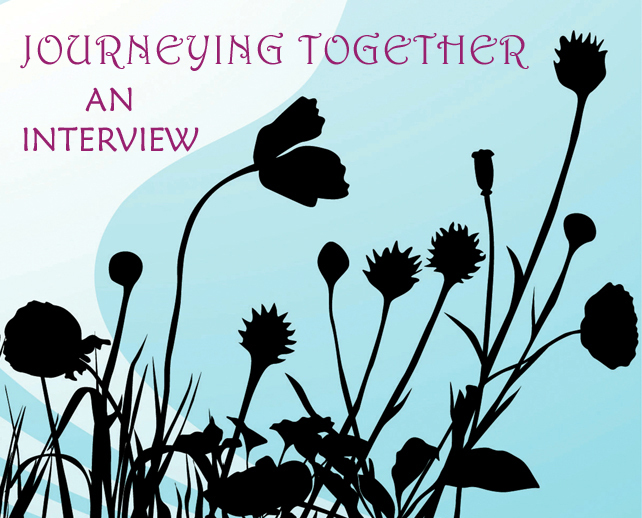 You’ll hear from Alice herself here soon, as she is preparing to post her personal testimony. The publisher of our book, Journeys to Mother Love, is holding a drawing for free copies of their new releases during their 2013 “Fall Book Fling.” This week the drawing is for the Christian novel, Gadly Plain. 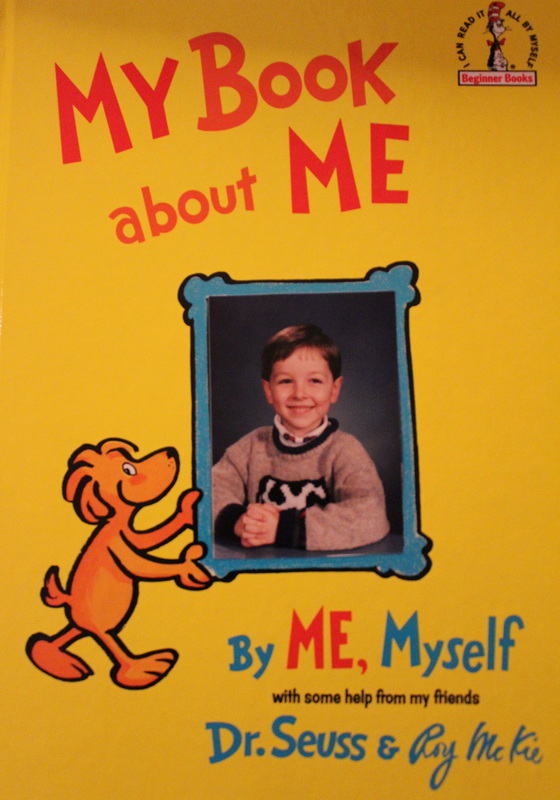 I wrote a post about this book a while back. The next drawing will be for Unwrapping Wonder: Finding Hope in the Gift of Nature. After that, copies of three audio books will be offered. Last but not least in the Fall Book Fling will be That Was the Best Christmas! by one of our Journeys to Mother Love authors and bloggers, A.R. (Alice) Cecil. Click here to enter your name in the current free-book drawing. Check back regularly and enter each drawing during Oct – Dec.
We hope you’ll continue to journey with us. Together we’ll share experiences of healing and forgiveness in our relationships; encourage each other, as we share heartaches, challenges and joys; and learn and grow in our capacity to love God with all our heart, mind, soul, and strength, and to love others as ourselves. Forgiveness is an essential part of our journeys. It’s not a destination at which we arrive, or a side path through a flowery meadow, or a grueling test of our grit where we must climb over slippery, jagged rocks; it is something we carry with us, essential for the entire upward journey. 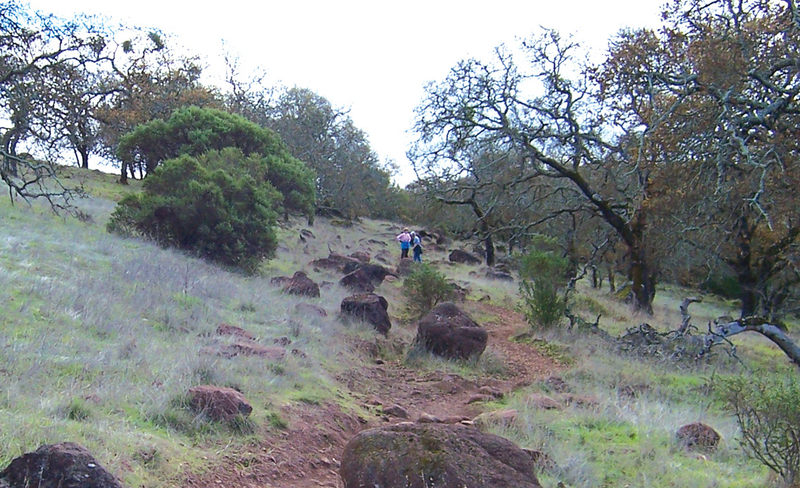 It is a burden so light, it almost carries us over trail and meadow and rock. It is a cloak. This cloak is made of gossamer fibers perfectly spun, from a spotless lamb. The cloak is freely given but we each must first feel our need for it. The Giver waits for us to ask. Then, when this covering is wrapped around our shoulders, it somehow gives lightness to our feet, puts invigorating air into our lungs, and brings clarity to our vision. The old coldness, cramping, and complaining are gone. The squint of the eyes and the clenched fists gave way to accepting eyes and open hands. It is made with grace, and like the Elven cloaks given to the Hobbits, it protects us from evil predators and attacks from the enemy of our souls. And even though it is light as a feather, it keeps us warm on harsh, cold nights. When you have this wonderful cloak, you share it with others. It is amazingly expandable and can be extended to other weary travelers so they can find warmth and safety and acceptance. If you’ve truly received it, you can’t not share it. The journey can be rough and scarring. How healing it is to receive and give forgiveness from our fellow travelers—mother, father, sister, brother, son, daughter.